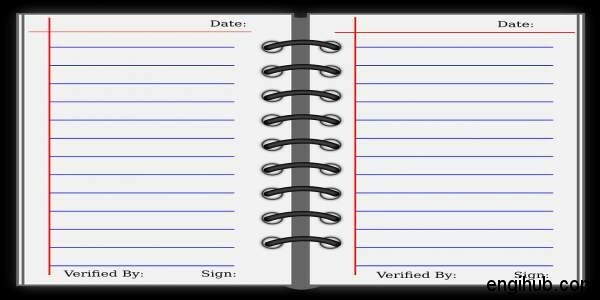 A Log Book is that book where all the activity related to the machine is recorded. 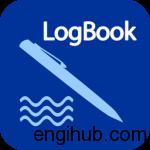 If you are from engineering field, you better know the importance of log book. Whenever you carried out any maintenance in screw air compressor, it must be noted down in the log book. This will help to all people who are a concern with the compressor. This will work as a record of the compressor and help you in long future. Prepare an operational diary and keep the record of periodical inspection of various parts. This will help to find the abnormality of the air compressor functioning prior to any trouble. In the logbook, record the discharge pressure, oil pressure, discharge air temperature, incoming voltage, load and unload amperage etc., as well as operating hours along with the type of service done and an amount of oil replenished, which will become a precious record. 01) By keeping daily operation records, check the variation of discharge temperature. In case the temperature differential between atmospheric and discharge air temperature is gradually becoming greater, the cause may be, the soiled oil cooler or stacked sludge. Clean the oil cooler in this case. 02) The reason for the oil filter bowl to become tight is that much sludge and rust mixed in the oil are sticking to the oil filter. In this case, replace the oil and clean the oil filter and oil cooler. 03) Take the sample of lube oil and check for any abnormal smell. The compressor oil has basically no smell. An abnormal odour is due to deterioration of the oil with oxidized substance. Replace the oil. If the condition is extremely bad, an overhaul of air end may be required. 04) When the sample of oil is unclear and whitish in colour, water is mixed in. Replace the oil and try to keep the lubrication oil constantly in good condition. 05) Check if the oil is green in colour if so, replace the oil. 06) As a thumb of rule, oil should be replaced every 1500 working hours. However, replace totally when it is extremely dirty or it contains much of impurities even before 1500 working hours. 07) Take oil sample periodically. First sampling should be made within 250 working hours of the start of the air compressor and thereafter, every 500 working hours. During summer or in a tropical area, sampling should be made once a month or every 250 working hours of operation. You will find all this data if you record it in Log Book. I hope this information will help you to increase performance and life of Screw Air Compressor.